The history of Budapest is very old! It begins in the Roman Empire of 1st C CE, to its fascinating Ottomon history all the way to its rather turbulent recent past. Today's Budapest is a combination of Pest, Buda which are on either sides of the river Danube and Obuda (old Buda) which is in the north of Buda! We went on a path tracing its historical beauty and we began at the oldest and the farthest from the city - Roman ruins in Aquincum in Obuda. The place opens with a museum and proceeds to the actual site. The first thing at the museum brought a big smile on my face, well - familiarity! It begins with Tabula Peutingeriana. I first came to know of this when learning about Christianity in India! The tablet mentions Muziris in the far right bottom which is today's Malabar, coastal region in southern India! In the same map, on the diagonally to the top left of Roma centre is Aquinco - this very spot! Like every other Roman site (Colosseum - Italy, Caerleon - Wales, Bath - England etc), this too has several sculptures, pottery, ornaments, seals etc excavated from the grounds which are now in display in the museum. One of the very important sculptures here is of the she-wolf feeding Romus & Romulus who founded Rome! Just outside the museum was the perfect play area for anyone traveling with kids! There were quite a few games that were Roman themed to keep any toddler to pre-teen busy! Beyond this is where the fascination of Roman ruins lie. Every detail from the elevated platforms to the arched water ways etc are well preserved. More important are the rooms meant for the exquisite bathing rituals of ancient Romans like England's Bath are here too! Unlike other places, here's its a double bath which makes the space separate for men & women but accessible at the same time! Like Dholavira, this space also had separate streets meant for merchants, butchers, craftsmen etc with their own size & style of housing. The amphitheater is pretty small when compared to the Roman masterpieces like Colosseum. From Aquincum, our next stop was the later phase in the history - Ottomon Empire's Baths! Budapest is sitting on huge thermal spring, or rather multiple thermal springs. Though these springs have been present for ages, and though even since the celts have been enjoying them, constructing a spa/sauna on these springs were done by the Turks in 16th C CE. I headed to Lukacs Bath first. Unfortunately, with the time I had and with the baby in hand, I couldn't get into any of the baths to actually enjoy the sauna, unlike experiencing it in Spa, Belgium. It was in 1884 that the beginnings of the current Lukacs Bath building came into being. It was originally built as a hotel with spa! Today the hotel doesn't exist anymore, but there's an hospital for therapy with the natural hot springs! From there I headed to more Ottomon Turk history with Gul Baba Tomb. 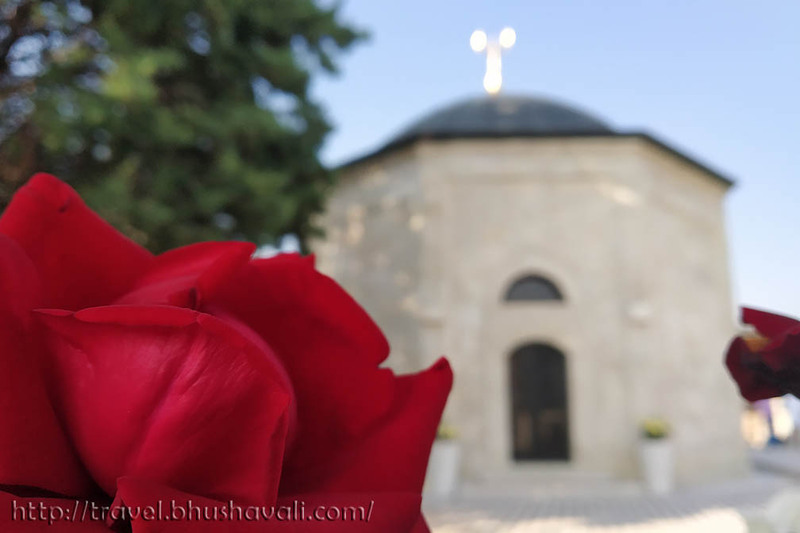 Gul Baba (Father of the Roses) is venerated by the locals are the Patron Saint on the region. The building has been very recently renovated with an Hungarian-Turkish collaboration and it was opened by the Turkish President. It was originally built in 1543-48 by the 3rd Governer General of Buda Yahyapasazade Mehmed Pasha. Today its a beautiful vantage point to view Budapest from and a peaceful place to pay your respects! In the evening I also visited the Gellert Baths just to have a feel of how different, the architecture of an Art Nouveau bath is when compared to the Moorish bath of Lukacs and I was pleasantly surprised. Its an art masterpiece! Its filled with mosaic work and sculptures. Originally this was constructed in 13th C CE as a private bath of King Andrew II. However the current building dates to end of 19th C CE. Danubius Hotel Gellert (yes, it belongs to the same Danubius group as Astoria) and Gellert Spa were both constructed together in the same complex in Art Nouveau style. While its awesome to dedicate a day to experience the various baths in the city, if you really hard pressed for time and cannot head to more than one bath, choose Gellert! While taking a bath here is nice, what's fabulous is attending a Sparty! Its a Spa Party that happens all night from 10:00PM to 3:00AM on certain days! How about entering the new year in the hot springs of Budapest? Tickets are open for the New Years Eve party at Szechenyi bath and are fast getting sold out! Buy yours now!!! Google Maps shows a longer walking route from Lukacs to Gul Baba tomb. Its coz, that's the mild slope which is also wheelchair friendly while taking the Gul Baba utca is shorter but a steep staircase! If you're fit take this route. I visited Budapest only once, back in the late 1980s, and whilst I loved the architecture and friendliness, I was poorly while there so I missed most of the sightseeing. I'd love to go back, as I love seeing historical ruins and learning about history during my travels. 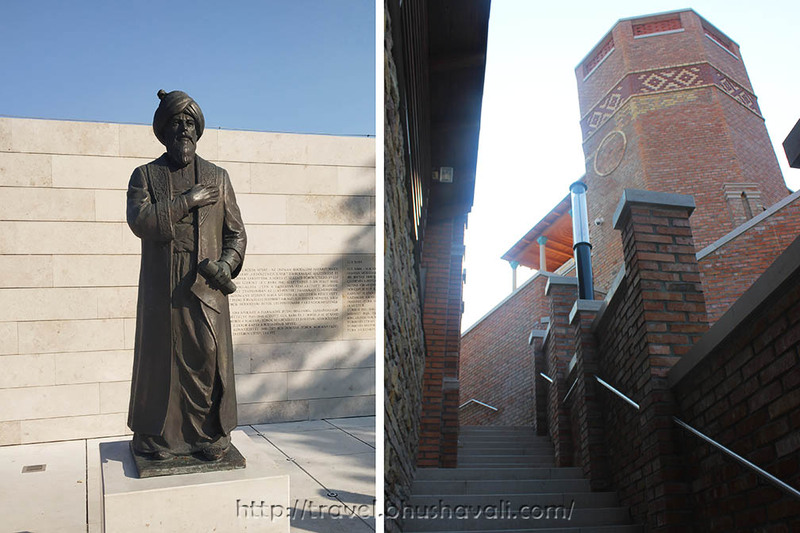 Budapest is one of my favorite cities in Europe, but I honestly didn't know all this history! Very neat, thanks for enlightening me! I didn't know about Budapest having its history hidden in Roman empire. These photos of buildings designed in signature European architecture look really beautiful. Museum with its rich collection, Roman themed game area outside the museum, ruins, bathing rituals area of ancient Romans, thermal springs, etc, etc, makes Budapest one of the most fascinating destination anywhere in the world. 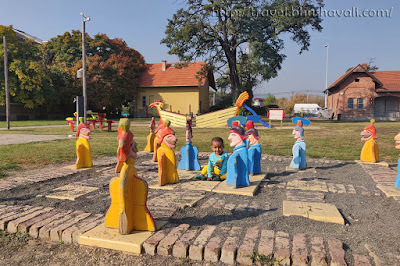 I never knew that Budapest is tri cities of Pest, Buda and Obuda and they are located on either sides of river and it is great to read its interesting past through your post. Tabula Peutingeriana looks interesting and it is great to see India's Malabar Coast in inscribed in that tablet. I would also try for Lukas bath as I love natural springs. Thanks for sharing some interesting facts about this great city. If there’s one thing I didn’t do in Budapest, it was the Spa Party. It was winter when I went last December but I hope I can come back and try it. Hungary is a very good country and super cheap! I can’t wait for my next adventure! Thanks for informing me about Obuda! It's a shame because I have been in Budapest few times and truly love this city but always thought there is just Buda and Pest :P How did it happen? I don't know. However, what I am sure about is that Budapest baths are an amazing experience and I could live there just for that! I only learned recently that Buda and Pest are separated by the Danube. The baths have changed from the historic Turkish to the newer deco style. I’d really like to attend a Sparty, though that’s usually past my bedtime! Budapest is one of my favorite cities in Europe but even I learned a few new things from your article. Budapest is one of my favorite cities in Europe. Seems like I missed out. I guess there's always next time. This is really interesting and great to know facts. Love their play area. As a mom, I always appreciate kid-friendly spots. Also, the Gellert baths looks really amazing. I love to see this architectural beauty up close. Budapest is in my bucket list and one of my favorite cities in Europe, but I honestly didn't know all this history! I am amazed by the Spa party, which looks very relaxing and exciting, both at the same time! I frankly did not know most of the things about Budapest. It looks like such a historically significant city. You seem so well read and researched about the magnificent history and architectural differences of different eras.